Welcome back to the Rubenstein Library Test Kitchen! Every Friday between now and Thanksgiving, we’ll be sharing a recipe from our collections that one of our staff members has found, prepared, and tasted. We’re excited to bring these recipes out of their archival boxes and into our kitchens (metaphorically, of course! ), and we hope you’ll find some historical inspiration for your own Thanksgiving. With the warm North Carolina temperatures hanging on for dear life, now seems like the perfect time for a summer throw-back recipe, to take us back to moments hanging out by the pool and lingering over sweet, crisp ice cream. 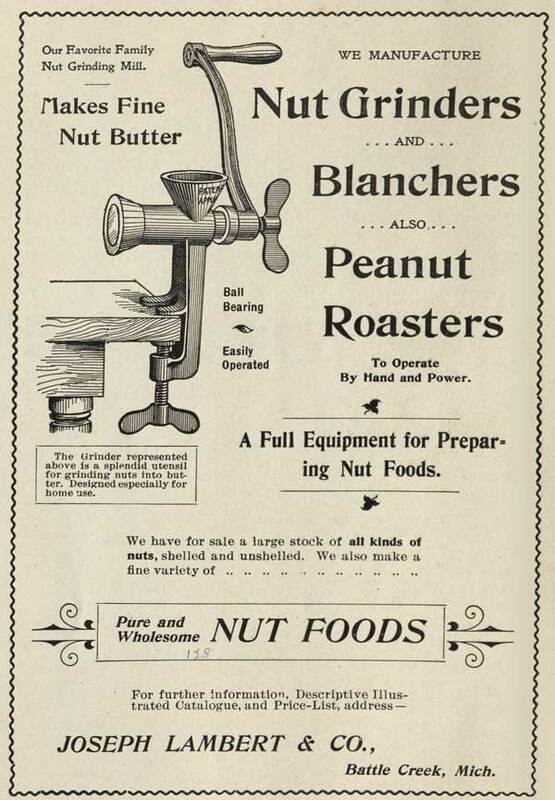 And what could better conjure up those images than a dairy free, nut based ice cream from Mrs. Almeda Lambert’s A Guide for Nut Cookery; together with a brief history of nuts and their food values? I didn’t intend to make a dairy free recipe. When searching through our catalog, I hoped to find a rich, creamy dessert, preferably one containing my two favorite foodstuffs: heavy cream and sugar. While I did find lots of those, Almeda Lambert and her 1899 work ultimately piqued my interest. And once I noted the brevity of “Ice-Cream No. 3,” I knew there was no other recipe for me. “It is the object of the author [Almeda Lambert] to place before the public a book treating upon the use of nuts as shortening, seasoning, etc., to be used in every way in which milk, cream, butter or lard can be used, and fully take their place.” (p. 6). Within her work, Mrs. Lambert tested out recipes for mock fish, for the exotically named meat substitute “nutmeato,” and for custards, pies, drinks, and many other imaginative takes on traditional recipes. And while I’m not sure that her recipes have taken the world by storm since 1899, I hope that the proliferation of nut butters, flours, and oils out there would be a balm to her soul. Luckily for me, “Ice-Cream No. 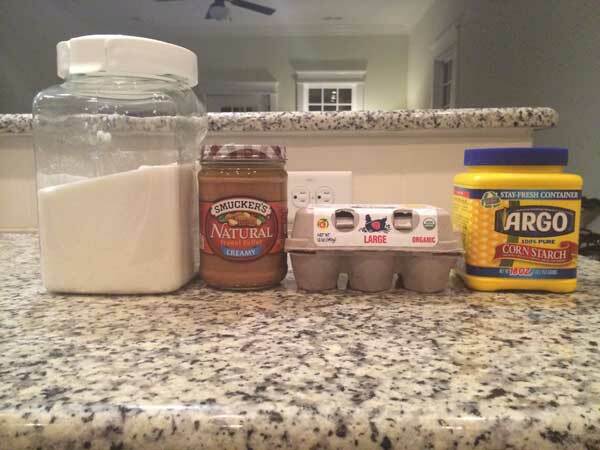 3” only calls for six, very common ingredients: nut butter, water, sugar, vanilla extract, egg, and corn starch. 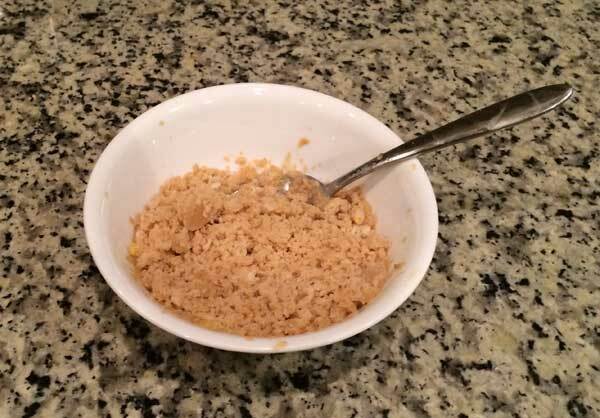 While there are recipes for nut butter in A Guide for Nutcookery, I was not bold enough to make my own and instead bought natural peanut butter from my local store. As noted in Aaron’s and Patrick’s blog posts, historical recipes don’t tend to provide a lot of context, and “Ice-Cream No. 3” stays true to that established form. After assembling all the ingredients and reading the directions, I was still a little confused but decided to go with my gut instinct. This was pretty easy to do when there were only six ingredients involved. To create the nut cream, I boiled until the nut butter and water reached a thick, seemingly ice cream like consistency. A small snafu with the eggs and sugar ensued (I forgot to pre-mix them), but vigorous whisking saved the day and the ice cream. Vanilla extract and cornstarch were then added, and my cream(y) concoction was ready to go into the freezer. All told, the entire recipe came together in twenty minutes. Now, that’s my kind of cooking. Only after I put the cream in the freezer did I begin to wonder about how the ice cream would taste. Some in my household speculated that it would freeze into a giant ice cube, and that it would only be edible after melting. My fervent hope was that the egg would lend the ice cream a custard-y texture, so that I would never have to buy custard again. Sadly, my dream proved elusive. In texture and in taste, “Ice-Cream No. 3” bore a strong resemblance to an Italian ice. My spoon did not glide through the ice cream; rather, I chiseled away at the block, making small inroads until a suitable amount had accumulated. It was the best workout I’d had in quite a while, and by the end, I felt like I had really earned my dessert. Verdict: Although not quite ice cream by today’s creamy standards, “Ice-Cream No. 3” is a deliciously easy variation. The peanut butter taste runs strong and true, and it tasted exactly what you would imagine something combining peanut butter, sugar, and water to taste like: wonderfully. Does the thought of a Nineteenth Century vegetarian cookbook pique your interest? Good news, readers! Almeda Lambert’s A Guide for Nutcookery also lives on the Internet Archive. You too can try out any number of ice creams or even dare to be bold and make nutmeato sandwiches! Lambert, A. (1899). Guide for nut cookery; together with a brief history of nuts and their food values. Battle Creek, Mich.: J. Lambert & Co.
Smith, A. (2007). Peanuts: The Illustrious History of the Goober Pea. Urbana: University of Illinois Press. Post contributed by Liz Adams, our awesome Stacks Manager. You should try the recipe again using an ice-cream churner. The fat in an ice-cream base (usually comes from eggs and cream, in this case from eggs and peanuts) helps keep the water from freezing into a solid block (the fat inhibits the formation of ice crystals causing the mixture to form smaller crystals that we perceive as smooth rather than hard and chunky), but the fat alone isn’t enough to get a creamy texture. The mechanical action of a churner will further inhibit the growth of large ice crystals while mixing air into the finished product (air gets trapped as the base freezes and thickens) making the end result less dense/more creamy. Since a custard base will do exactly what your nut-base did if you just put into the freezer, there’s a good chance your nut-base will work like ice cream if you churn it. If you want to further inhibit the ice crystals while upping the flavor, you could also add one or two tablespoons of liquor (vodka if you don’t want to add flavor, but a dark rum would probably be good here). Excellent suggestions! We’ll try them when we prepare the recipe for our taste-testing event (12/3)!